I LOVE blogging! Since I started blogging, I have met some of the most amazing teachers from all over the world. I want to share an amazing teacher and blogger with all of you. Mandy is a special ed teacher in Canada. She teaches children with severe physical and/or speech impairments. 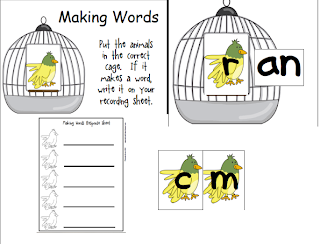 Her blog is always full of wonderful ideas that are practical and helpful in the classroom. She also creates some amazing materials that you can use in your classroom. I hope you will check out her blog and her store. 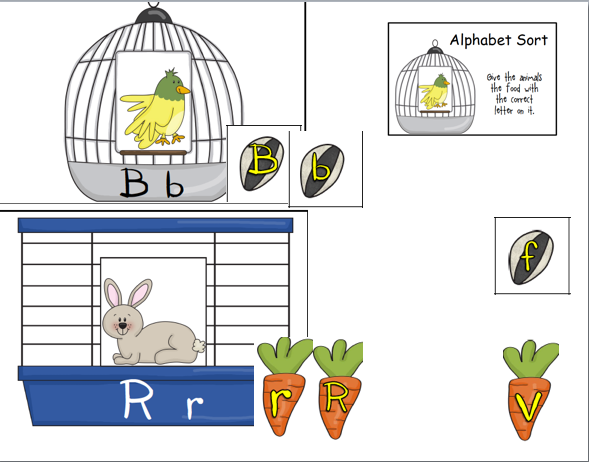 She offers several freebies you can use in your classroom. 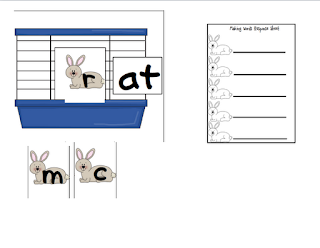 I had the privilege to check out her Pet Literacy Workstation Activities. This file is amazing and I am so excited to share with you what I like about it. First, it has everything you need to make the workstations except an envelope/folder to store it in. Simple print out all of the pages, laminate, and cut, and you are ready to go with these workstations. I love that she included cute title cards with the directions written in simple language. There were 5 activities included in this file. 1. 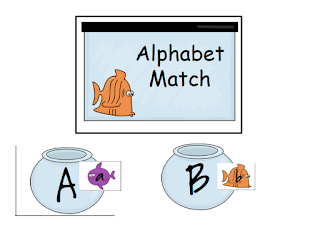 Alphabet Match: Students match the uppercase letter with the lowercase letter. I love the cute fish graphics. They are brightly colored and the kids will love the pieces. 2. 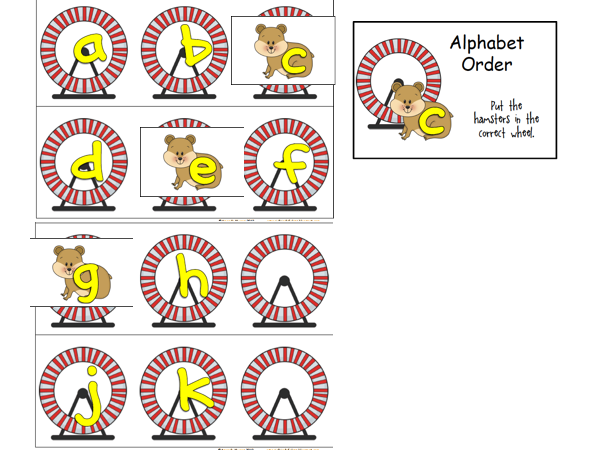 Alphabet Sort: This is one of my favorite activities in the set. 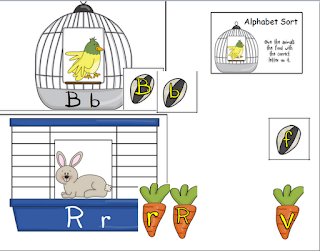 Students take the food pieces and "feed" the animals by choosing the food with the same letters that are on the animal's cage. 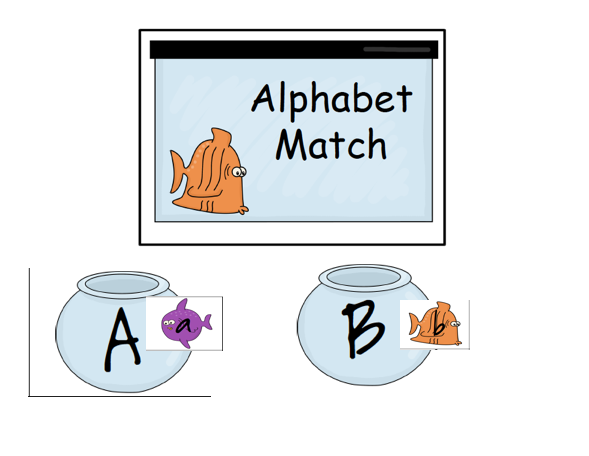 There are food pieces with different letters so the students really have to look at the letters and decide if it matches or not. 3. Feed the Pets: This is a great activity for sorting words by word families. 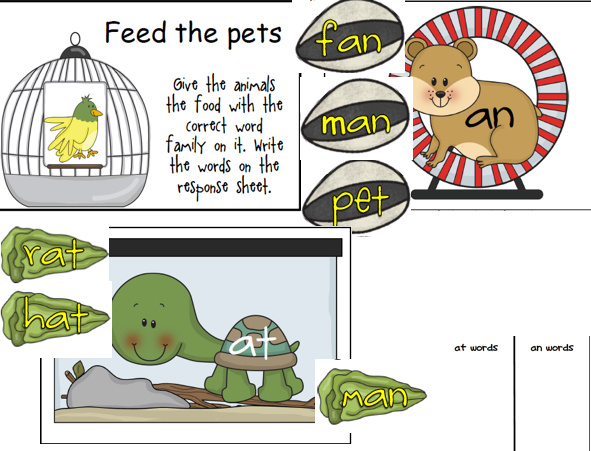 Students feed the animals by giving them food with words that are from the same word family. This workstation also has a recording sheet for the students to write the words with the correct family. You can even laminate the recording sheet and allow the students to use markers. 4. 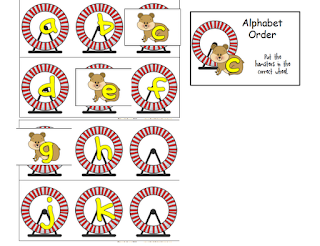 Alphabet Order: Students practice letter order by putting the hamsters in the empty wheels where they belong. 5. Making Words: This workstation is more difficult. 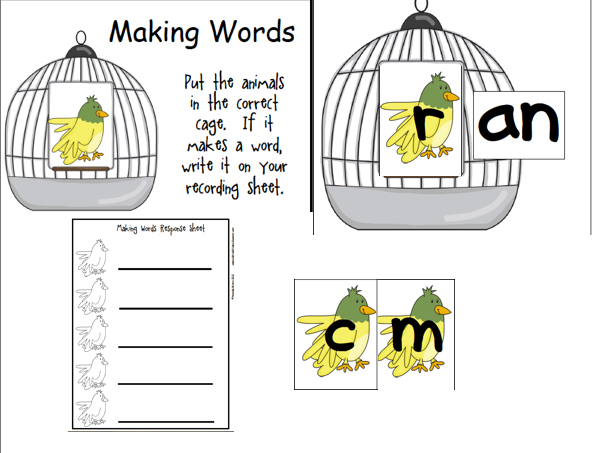 Students make words by changing the beginning sound. Students have to read the word and decide if it is a real word. There is also a recording sheet included. 6. 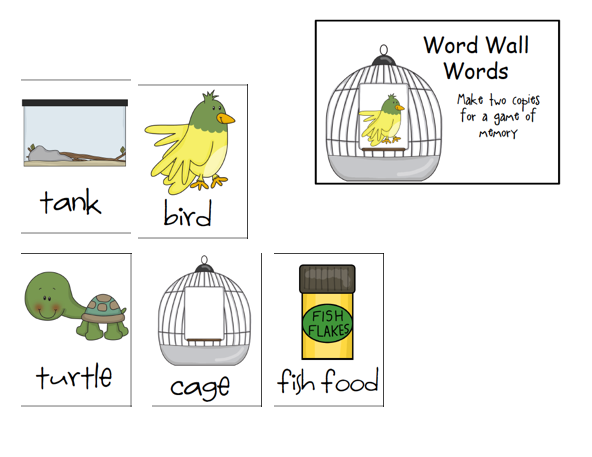 Word Wall Cards: This would make a great display in your classroom. 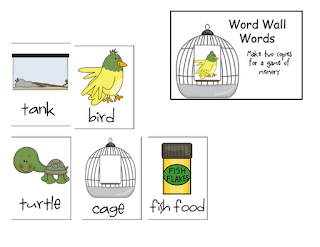 Students can refer to it to help with labeling and any writing activity they may do. Mandy also gives a great idea of making 2 copies of the words and playing games with them such as Memory. This set of workstations was so much fun for me, I can't wait for my kiddos to use them. I know they will love them even more than I do! Please check out Mandy's blog. You will find many wonderful tips and classroom materials. She is also sharing her opinion of one of my products on her blog. Hop over to her blog to see what she is reviewing then come back here and leave me a comment about it. I will select at least one (maybe more depending on number of comments!) person to receive the same product that Mandy is reviewing for FREE! You can earn an additional chance of winning by pinning the item. (Please leave the link to your pin in a separate comment.) I will select the winning comment Monday morning. Love the polka dot set! This would be great for my room! Love your Classroom Themed Materials! Nice and colorful and so useful! I liked how Mandy used the Teacher Planning Pages and put them together in spiral binding! I absolutely love the bright colors used in your Polka Dot Classroom Themed Materials! They are so cheery! Your Polka Dot Classroom materials are super cute. Love the colors! I don't really do a "theme" (frogs, owls, etc.) but rather use lots of bright engaging colors. So, these are perfect. The planning pages are great too. Love it! I'm going back into Sp. Ed. self-contained Autism this year so I'm sure I'll perusing your site even more frequently! Great ideas! She is reviewing the Polka Dot Classroom Themed Materials! I love love love polka dots. That my classroom theme! !